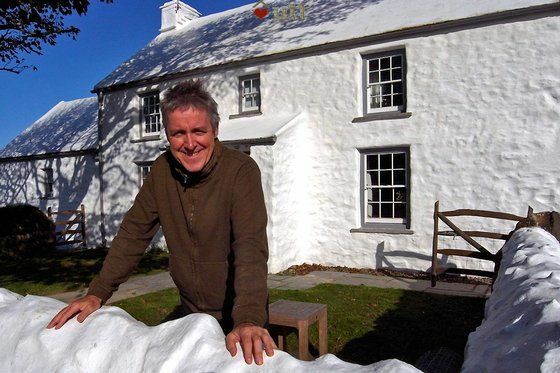 This cottage is 'Best in Wales' says international CNTraveller magazine. 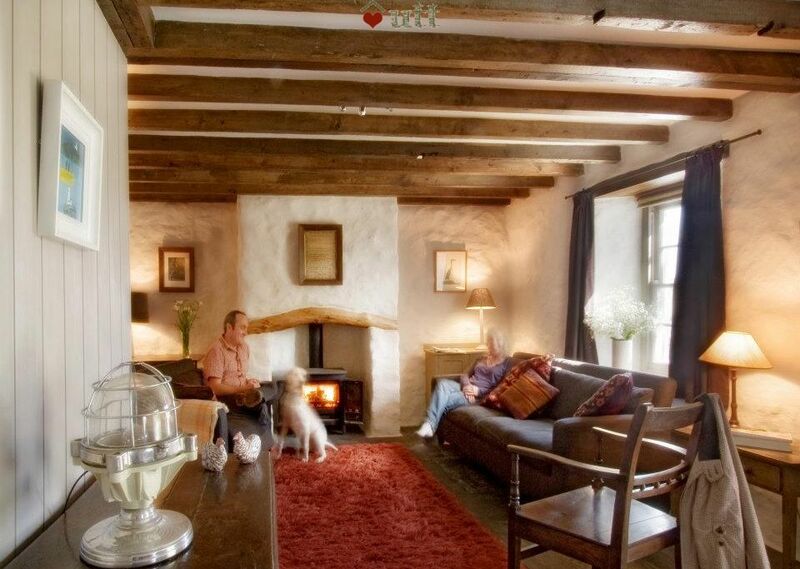 Everyone agrees - Bwthyn Trehilyn is simply one of the finest holiday cottages in all of Wales. It is one of the group of cottages around Trehilyn farm that form UTT's largest rental in Wales - sleeping up to 22 (or 25 in summer when the Showman's Wagon is in use). Scroll down this page to see the other Trehilyn properties. 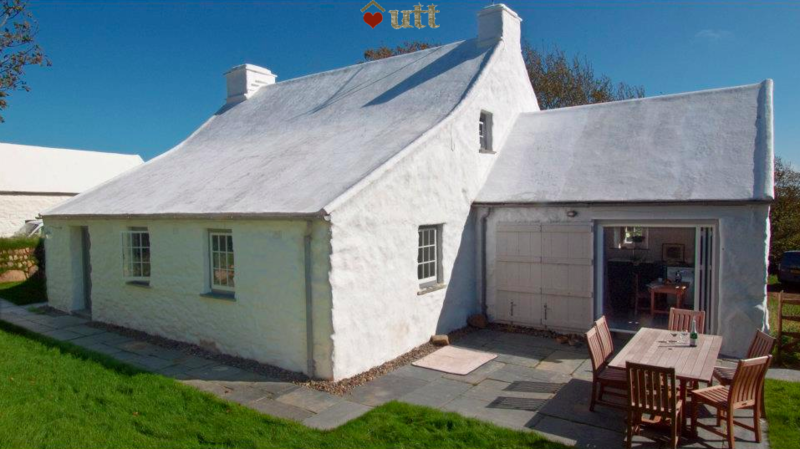 You'd have to look very very hard to find a better cottage for your holiday in Pembrokeshire. Meticulously renovated by BBC's Griff Rhys Jones from a ruin using authentic restoration materials and skills, this is a traditional, detached Pembrokeshire cottage in a peaceful location at the end of a track, with seventy acres of farmland that enjoy fine sea views. 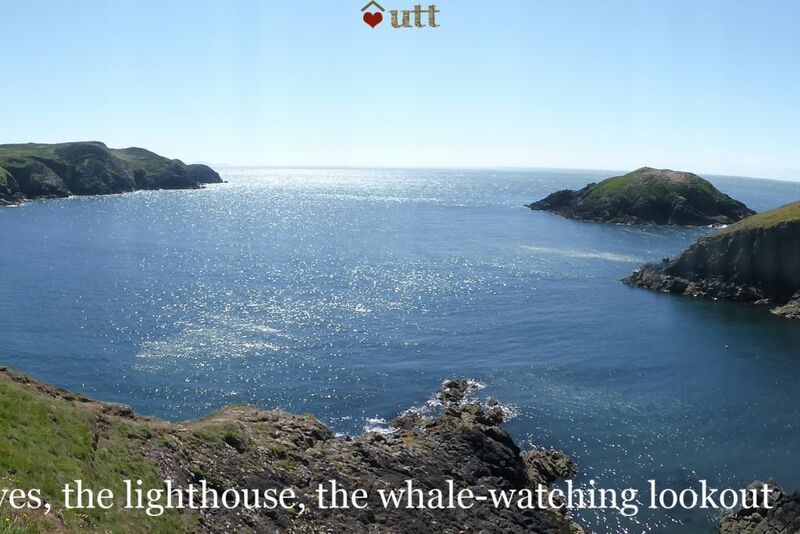 Walk to the famous lighthouse on Ynys Meicl or hike out to Porthsychan cove. 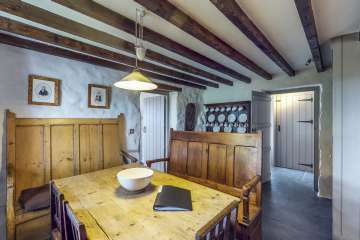 Read the Guardian review of the main farmhouse, or read how Griff restored this cottage. 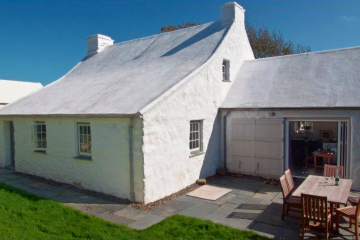 The restoration of this cottage was the subject of the BBC4 series Return to a Pembrokeshire Farm. There is a Strumble Shuttle (404) from Fishguard which can be flagged down at the end of our track (Google 'Strumble shuttle' for timetables), and there are a few trains a day to Fishguard & Goodwick Station. 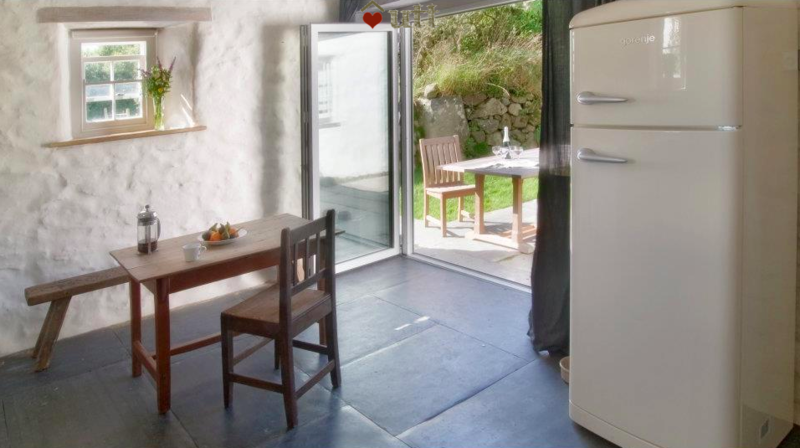 The cottage has underfloor & central heating throughout & a woodburner. Access over 70 acres of land and to many local footpaths. Nature walk (enclosed from livestock) along stream to far end of the farm and a ruined cottage. We had a wonderful week at Bwthyn Trehilyn. Beautiful weather meant that the amazing coastal walks were enjoyed by all, even our four children, who were spurred on by the thought of delicious fish and chips at The Shed at the end of it. The house was great and equipped with everything that we needed. I was particularly grateful to find the coffee machine! And Shirley was wonderful. Thank you. 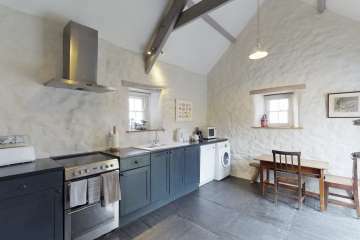 Lovely warm and cosy cottage which was a delight to stay in. Thoroughly enjoyed our short stay and would love to return soon. Griff RJ has done a superb job restoring and converting these special buildings whilst preserving their historical and architectural integrity. Thank you for allowing us to stay and enjoy them. The fabulous thing about both Pembrokeshire and Bwthyn Trehilyn is it doesn't matter what the weather throws at you. 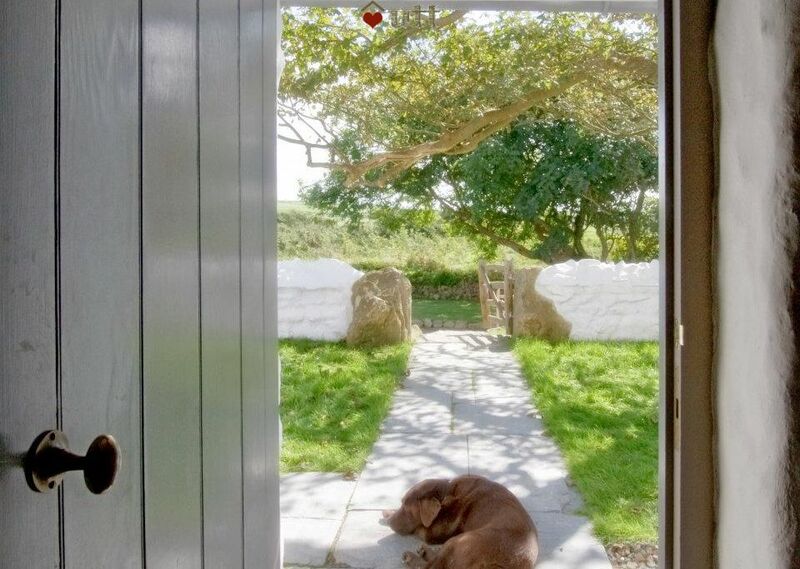 In Pembrokeshire, tomorrow will always be glorious (even when tomorrow takes a few days to come) and inside the very beautiful Bwthyn Trehilyn it doesn't matter a damn what the weather is doing anyway. 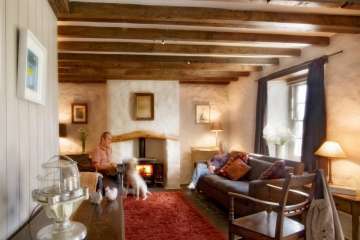 Thick walls, comfortable chairs, warm floors and log fires. Take waterproofs, sunglasses and books. That should cover you for all eventualities - bring it on. Glorious. We six ex-Fire Service fogies and two dogs had a wonderful time in the cottage. All instructions/administration was clear, it was good value and such a lovely cosy place to stay and catch up with old friends. Great walks from the doorstep. Many thanks! Just back from a fantastic two weeks at Bwythin Trehilyn. 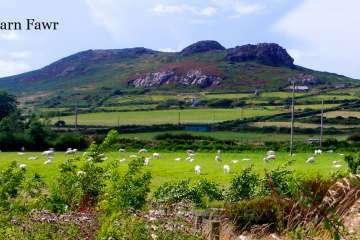 Our first time to Pembrokeshire after spending many years holidaying on the Cornish Coast and we can’t wait to return. The walking is spectacular with stunning scenery everywhere you turn. Can’t wait to go back ! The owners have done a fantastic converting Trehilyn and it was a privilege to stay in such a magical place. Many thanks to all involved. We had a great time here. 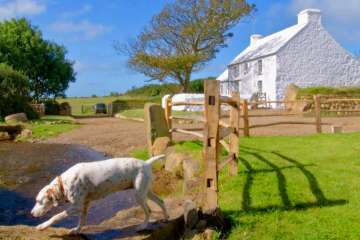 There were 14 of us in total so we booked Bwthyn Trehilyn and both sides of the Trehilyn farmhouse. Both properties have been very well refurbished and were very comfortable. We liked and made good use of the new Honesty shop. 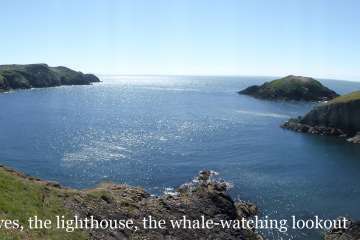 The west Pembrokeshire coast is beautiful and lots of things for the kids to do. We hope to come back. Thank you. Another wonderful stay at a classic cottage. 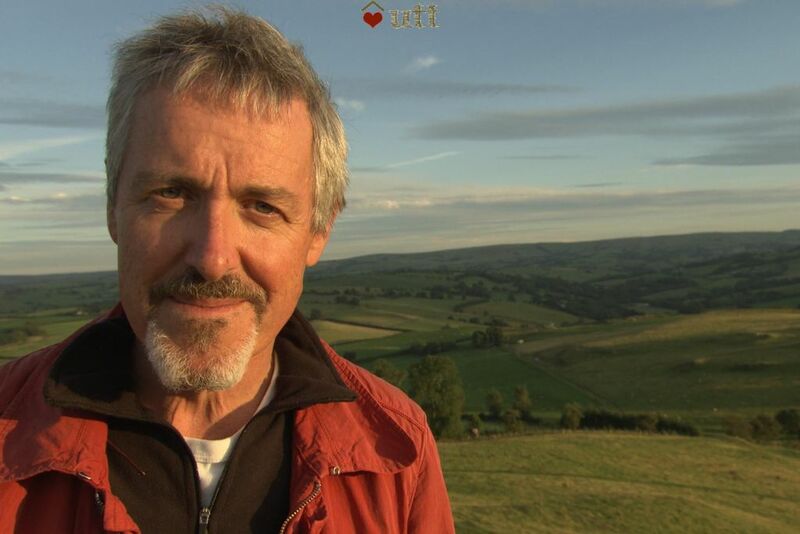 Y Bwthyn is as usual of high standard set in picturesque Pembrokeshire. Highly recommended to all our friends and family. Fantastic cottage and incredible location. The climbs and hikes along the cliffs and rocks with the girls was amazing fun and the views stunning. 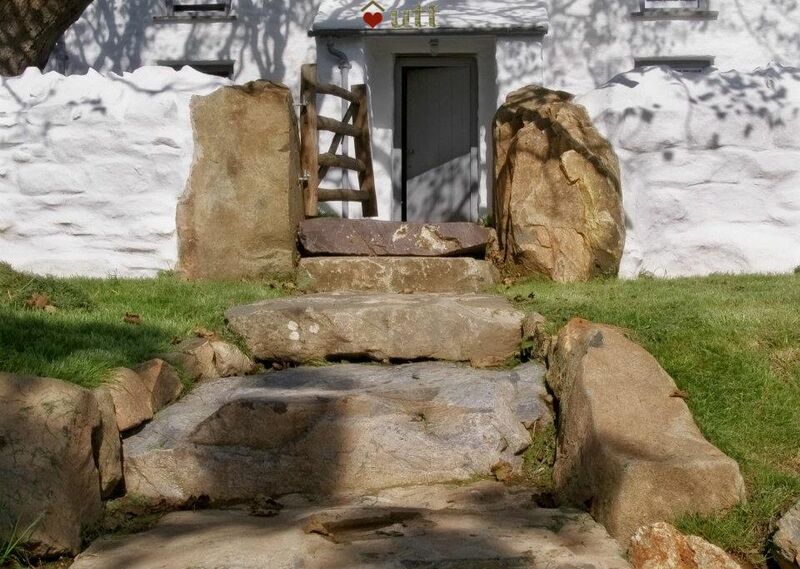 We loved the cosy cottage - the children enjoyed playing in the gardens and the stream. A true dream home. Thank you. We had a magical weekend at Bwthyn Trehilyn. 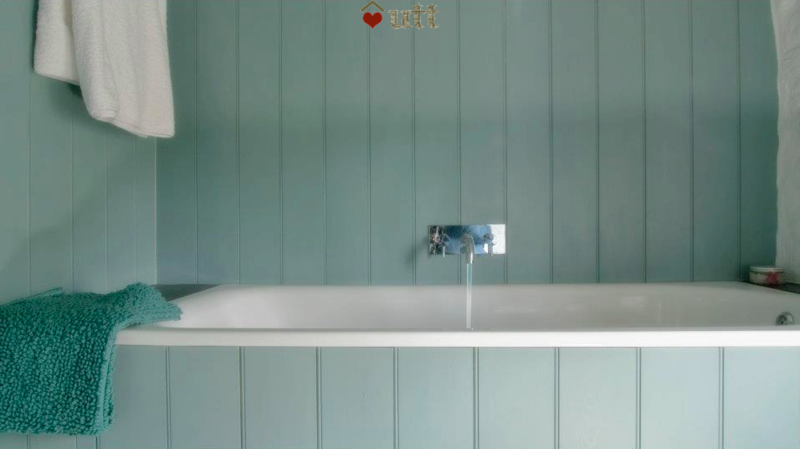 We loved the cottage, the integrity of its restoration and the thoughtfulness given to the materials used. 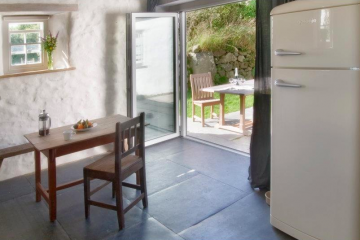 We were particularly impressed by the slate floor with its underfloor heating! We really enjoyed the paintings too. There was not a trace of that "holiday cottage" soulless feel, and so we felt at home right away. One of the nicest things was that you were straight into the landscape as soon as you went outside. We loved walking the coast path and enjoyed the woollen mill at Melin Tregwynt, and we had a fascinating episode at the tiny Ship Inn in Fishguard where there were photos of the crew filming 'Under Milkwood' in 1971. My only suggestions would be that I would have liked a bit more kitchen equipment - maybe a blender, and some more serving bowls. Also the displays on the cooker had rubbed off so getting the heat right was sheer guesswork. But all in all, it was a fantastic, memorable and reinvigorating stay for us and our two student children. 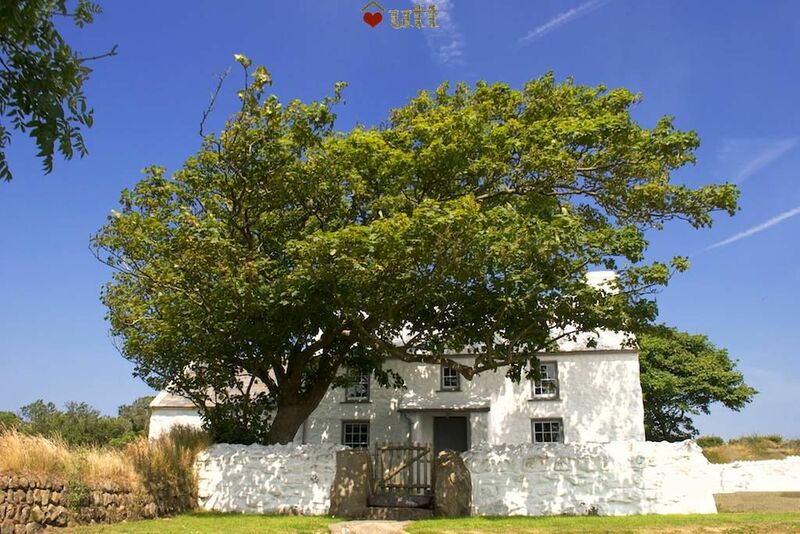 Another wonderful stay at Trehilyn (we have lost track of how many times we have visited) We love having Garn Fawr and the coast path so close and the warmth of the house to come back to. A very special place. Thank you! We had the most wonderful stay at Trehilyn over Christmas. The perfect place to relax and enjoy the company of family. 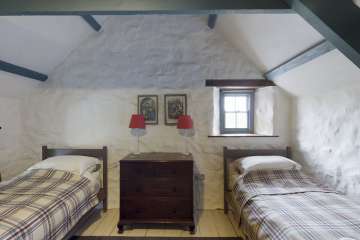 It's the most comfortable of houses and the perfect base to explore Pembrokeshire. We love the walk up Garn Fawr from the house - amazing view of the coast. Porthgain a must visit for the The Sloop and The Shed, St David's for the Cathedral and Cwtch. 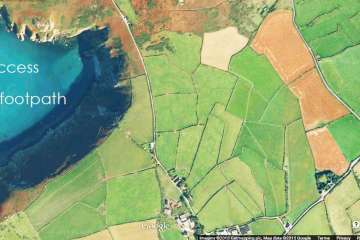 Can recommend Tafarn Sinc, Preseli Mountain and Newport for its beach, walk, shops and restaurants. 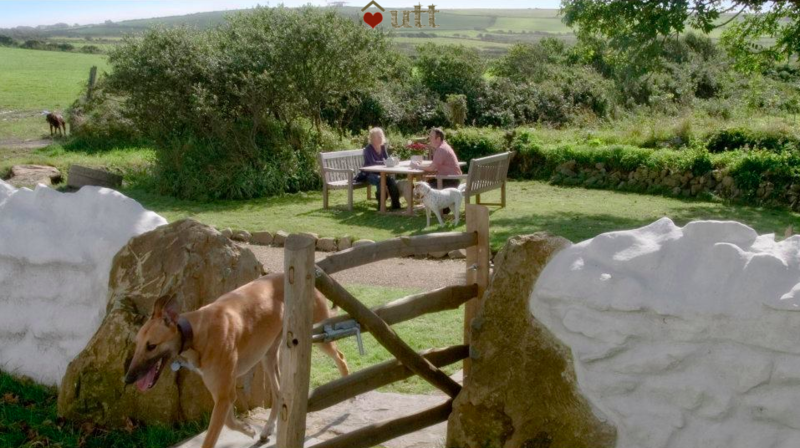 This was our second stay at Trehilyn, and we definitely intend to return. What a wonderful 4 day retreat with mum and the 2 dogs. Bwthyn Trehilyn is the perfect spot for a rural hideaway to explore the Pembrokeshire coast, with the stream, the cattle and the very handy honest shop. We especially loved Abereiddy, Abercastle, Porthgain and Whitesands as did the dogs! A completely delightful place to stay! Comfortable house with lovely views and vistas and so much to do. We liked Fishguard very much, especially the bookshop and arts centre. We loved the coast path, so near to the house and a great walk on either direction. We cycled too which was great, all the way to St David’s and the amazing cathedral. It was a very relaxing place to be and we look forward to returning. We had an amazing three day break at Bwthyn Trehilyn. It was our sixth stay at Trehilyn and first time at Bwthyn. 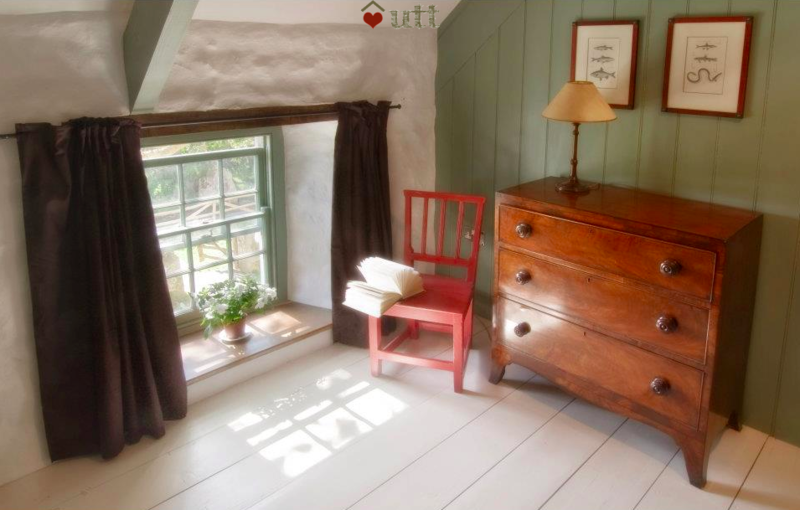 Such a beautifully restored cosy cottage with everything that you need. A beautiful setting with only the sound of water from the stream, birds twittering and the occasional sound of the sheep and cows. 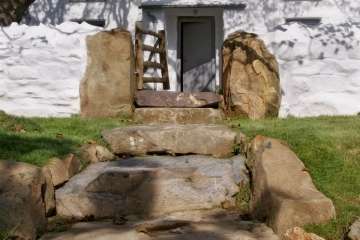 Will hopefully be returning to Trehilyn once again very soon. 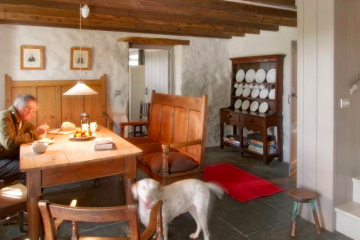 A fantastic, stylish cottage enjoyed by all and dog! 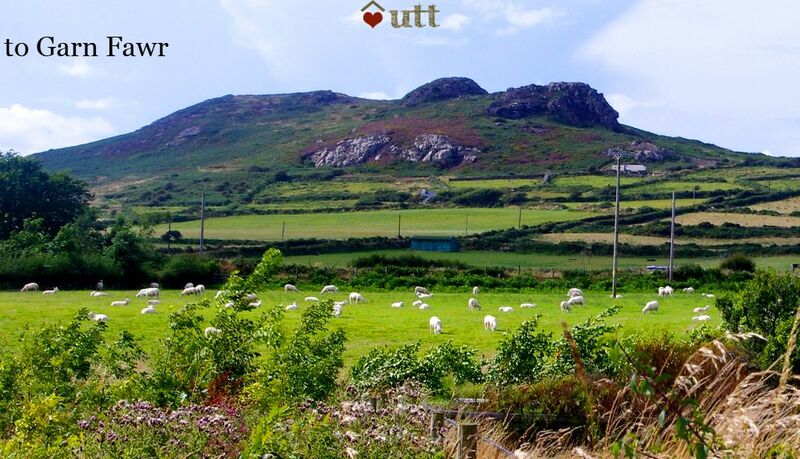 Another wonderful weekend in one of our favourite UTT properties. Well maintained, clean and a perfect getaway cottage, away from the stresses of modern day life. The weather was kind and we were able to explore new walks along the rugged Pembrokeshire coast. Many thanks - we'll be back! Owen, Angela, Alasdair, Max and Monty. The most idyllic spot and really lovely house. Beautifully done and everything catered for. Peaceful, tranquil, glorious. Can't think of any improvements. Wifi's pretty dodgy, but quite nice to be a bit cut off. Fabulous long weekend at Bwthyn Trehilyn. The cottage is stunning and in and idyllic setting making it the perfect Pembrokeshire hide-away. Breathtaking costal walks on the doorstep. There is nothing I can fault about the cottage or our stay - other than I wish we had booked for longer. Highly recommend staying here - outstanding! 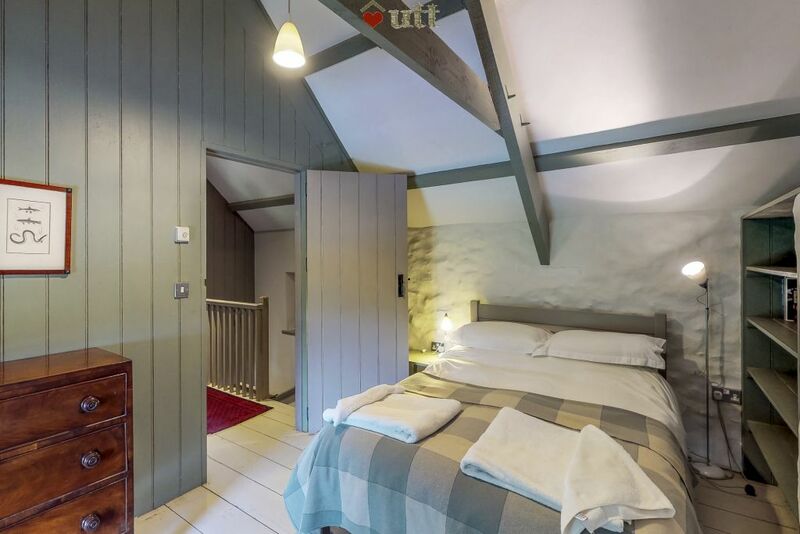 A lovely well-equipped, clean, warm cottage in a beautiful setting. 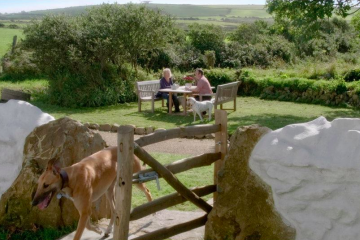 Within easy reach of the coast path for walks, and not too far from good pubs and restaurants. Particularly liked the powerful shower and the well-equipped kitchen. Not our first visit, and definitely not our last! We loved this cottage. It's beautiful, comfortable and excellently suited for cooking and relaxation. 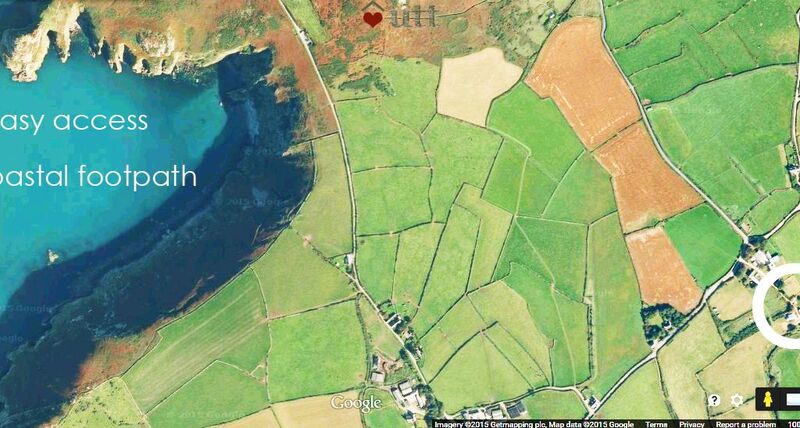 The short drive to Strumble Head made it a perfect choice for hiking the coastal trail, which we did daily. We would stay again in a heartbeat! 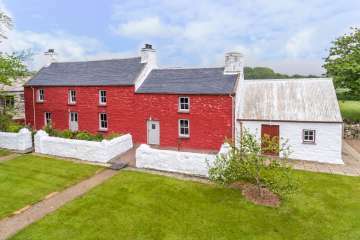 A beautifully restored property in a lovely part of the country. Tastefully furnished throughout with warm Welsh blankets, and good perks like a Nespresso machine added to its luxury status. There is so much to do in Pembrokeshire, but we loved staying in and relaxing in this home from home. 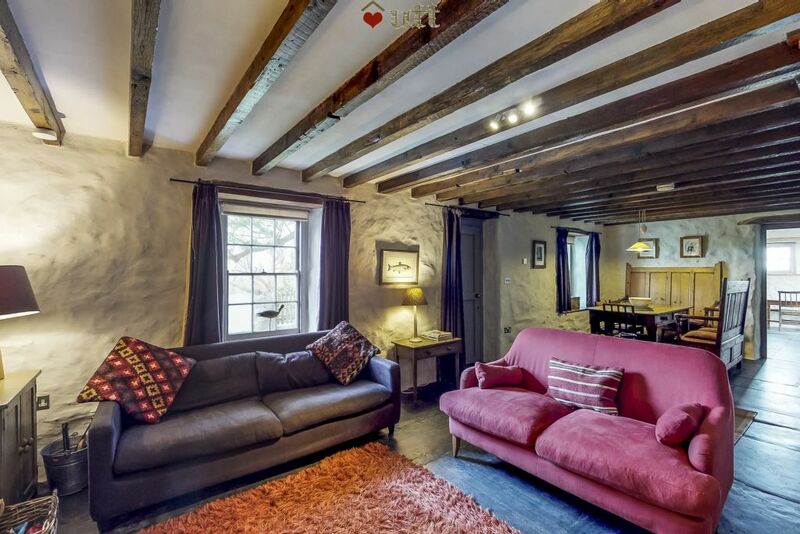 Beautiful cottage in excellent surroundings. The cottage was fully equipped with everything and anything needed for a short break. The garden was very safe and secure for small pets. Absolutely loved the nature trails on the farm. The wood burner was an added bonus although wasnt really needed with the warm toasty under floor heating. Would definietly book again. 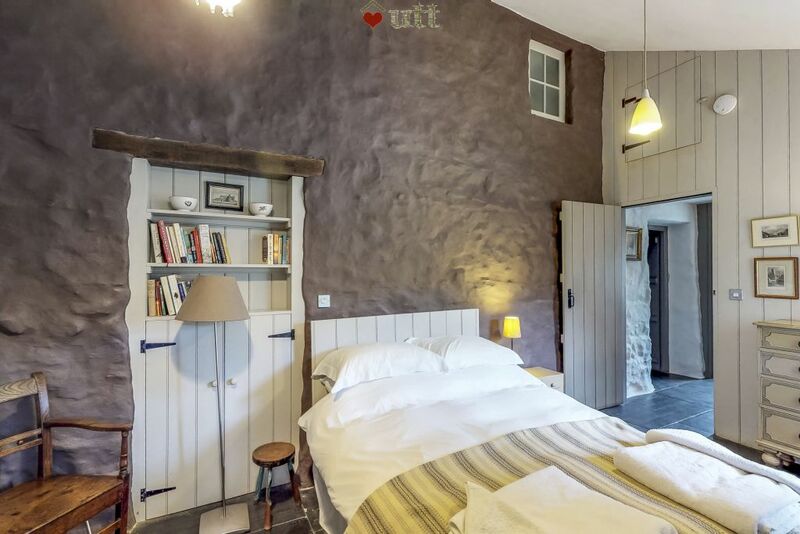 Beautiful cottage, tastefully renovated, all mod cons and some beautiful paintings! 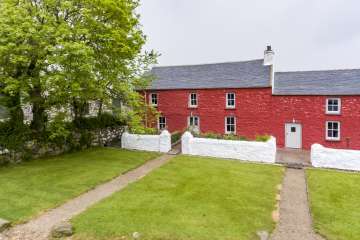 Very cosy stay.We fell in love with the coastline, walked along Strumble head which is a must for any visitor. Recommend the Sloop and The Shed for drink and dinner. We loved this cottage! It's beautifully restored using traditional techniques and is not only very attractive, but comfortable too. The combination of whitewashed walls with lovely smooth slate floor tiles and under-floor heating from a ground-source heat pump is a winner! The location is perfect, with a huge choice of coastal and inland walking paths right on the doorstep. We didn't really want to leave - and hope to make it back again before too long. 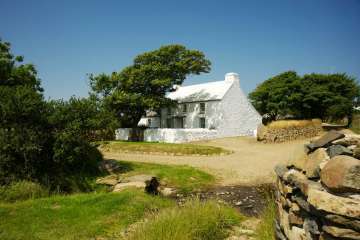 Our third cottage at Trehilyn, we love them all, another UTT we really did not want to leave, rain or sunshine, a top notch home from home. Three days was too short, so a longer spel for us next time. Pleser. Eirlys, Charlie, Alwena,Druid, Hels, Lila and Solo. A really lovely cottage in a beautiful location. Everything about the cottage was good...warm, clean and inviting with excellent facilities and a very relaxed, homely feel. The cottage has spectacular views over some lovely countryside. We walked parts of the coastal path every day and had a really good week, despite some very wet weather. What a magical place! Bwthyn Trehilyn is a beautiful place to stay - we and our (indoor) cats relaxed from the moment we got there. It's a wildlife haven - we watched birds bathing in the brook in front of the cottage, watched the clouds rolling in from the Atlantic - and listened to the silence. Aber Mawr beach - just 3 miles away is great place to catch the sunsets. 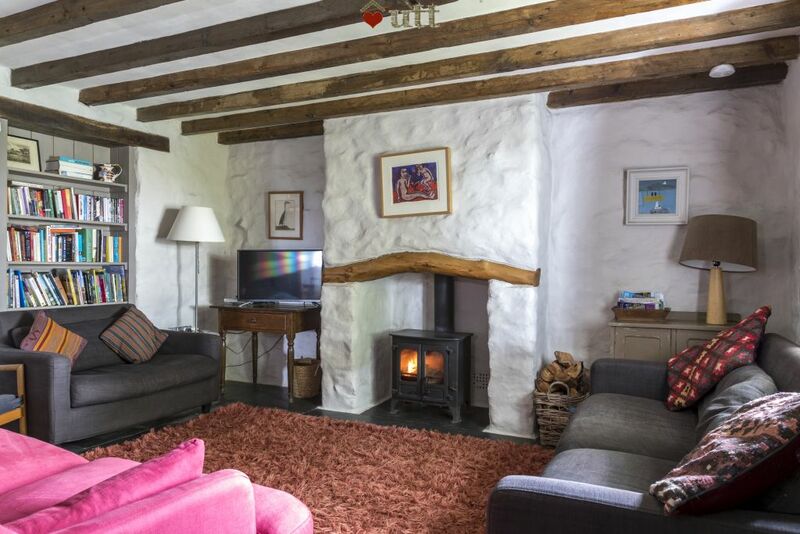 A characterful and comfortable cottage for us all to meet as a family. The weather was fantastic which enabled us to visit Skomer Island and walk 10 miles of the coastal path the following day. Diolch yn fawr iawn. We loved the cottage - very comfortable and cosy but not fussy - frankly perfect for us and we have such a relaxing break. We were blessed with beautiful sunny days and then loved curling up in front of the log burner in the chilly evenings. Quiet location. Woodland walk for morning dog leg-stretch before breakfast was lovely, and the honesty shop very handy. Thank you. We really enjoyed our weekend at this beautiful cottage. It was very clean, well equipped and comfortable. The character of the cottage has been maintained, with lovely colours throughout and lots of attention to detail. The woodburning stove was easy to use and the underfloor heating kept us very cosy. There is plenty to do in the surrounding area. Fishguard is a pretty town with a good range of shops and cafes. Despite the rain we enjoyed some lovely walks on the nearby coastal path. Thank you, we would love to return sometime. A week bathed in secluded spring sunshine , with only the sound of a babbling stream and excited lambs was rejuvenating to the enth degree. 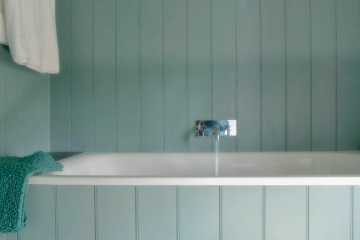 Our house welcomed us in with tones of comfort that can only be provided when created by a family of builders and conservationists who had so obviously become part of the farms history. Hide and seek, pooh sticks, baking , walking and having the most peaceful week has left an indelible mark on my family. I can honestly say I'm driving home in tears. Thankyou all that make this spot so special. Lovely cottage in a quiet spot with beautiful views. Although the weather was inclement we were able to snuggle up in the warm thanks to the wood burning stove in the cottage. We had a lovely time going out and about enjoying retail therapy in Haverfordwesr, Solva, Narberth, and Melyn Tregwynt just down the road. There are plenty of places to buy lovely things, eat lovely lunches and drink lovely coffees even if the weather rules out strolling on lovely beaches. The cottage gave us all that we needed as a home from home. Who needs sunshine to have a good time! What a fantastic weekend. Pembrokeshire at its very best with stunning weather and uncrowded. We had three glorious days walking the coastal path. Bwthyn Trehilyn was a real delight. Beautifully simple yet wonderfully well equipped. An excellent base in a lovely quiet location. Look forward to our next visit. We had a lovely stay in this beautiful, carefully restored farm cottage. It was relatively well equipped and very comfortable. We travelled with a 4 year old and 2 year old and found the cottage to be pretty family friendly. We particularly liked the enclosed garden. Lovely location - a real feeling of space afforded by views to the horizon in several directions and sufficient space around the cottage to enable us to sit out in different spots at different times of day. Bedrooms were nice and interior decor was very tasteful. We had a problem with noise from the boiler during the night but hopefully that's now sorted as engineers arrived as we were leaving. Playing table tennis in the giant barn at the top of the lane was a daft but fun added bonus. The "woodland walk" just opposite the front door turned out to be hidden gem - a ribbon of wildlife running through farmland that was lovely to explore. All in all, highly recommended. 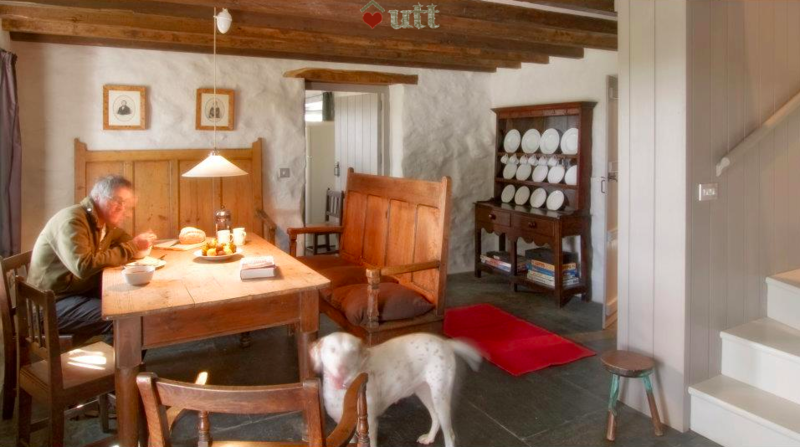 We thoroughly enjoyed staying in a beautifully and tastefully furnished cottage. Wouldn't hesitate to go back, in fact have been talking about a return trip. Highly recommended it to all our friends. 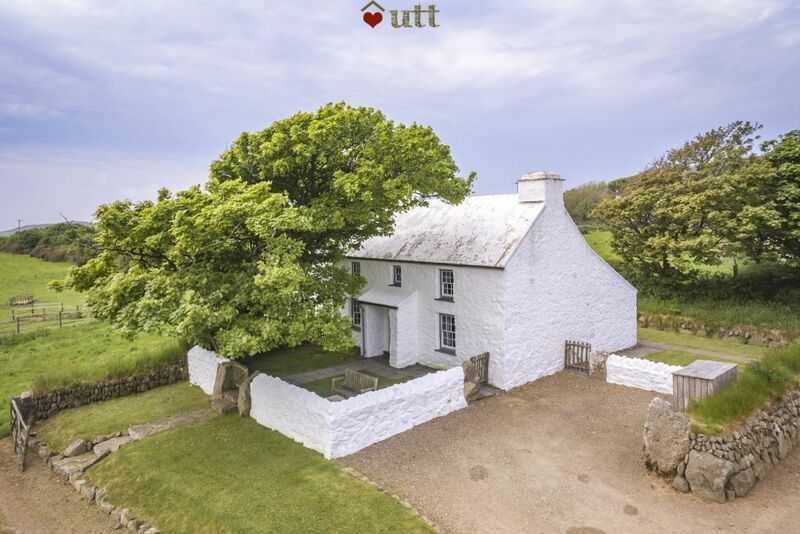 Beautiful cottage in a great location.Well fitted with everything you need. Lots of stunning beaches within a very short drive.Plenty of walks from cottage.Would love to visit again!